Ted Morris always looks like he’s having the most fun in the room when he’s on stage, and doesn’t care if you aren’t. His intelligent, off-beat humour and wickedly charming smile lets us all know that our slightly warped thoughts are just fine. 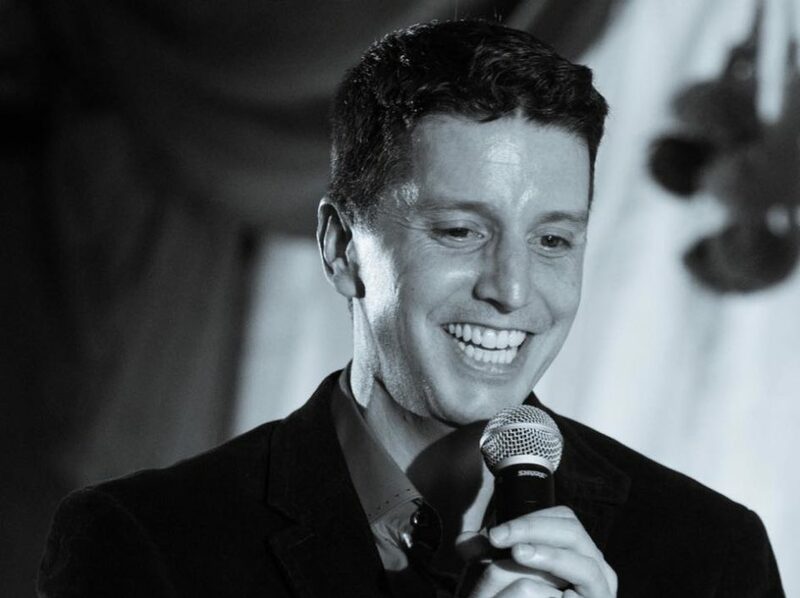 Born in Ottawa and now making his home in Toronto, Ted discovered his love of stand-up while getting his degree in veterinary medicine. He now splits his time as a small animal vet by day and stand-up comic at night, although it’s much more gratifying to “kill” on stage. He’s been called “fresh faced and hilarious” by NOW Magazine, and slightly ruder things by strangers in the street. Ted is a writer, producer and all around super guy. He has performed at the “We’re Funny That Way”, London and Halifax Comedy Festivals, and can be heard around the world on XM Radio. His TV appearances include 2 stand-up specials for Pridevision TV, The Toronto Show, The Comedy Network’s “Canadian Comedy Shorts”, MuchMoreMusic’s Heat Meter, The Smart Woman’s Survival Guide and the Halifax Comedy Festival on CBC. He taped an hour long comedy special for CTV’s “Comedy Now!” in the fall of 2011 which aired for the first of an endless number of times in April 2012.